DEADLINE FOR SUBMISSIONS: JULY 31, 2013. 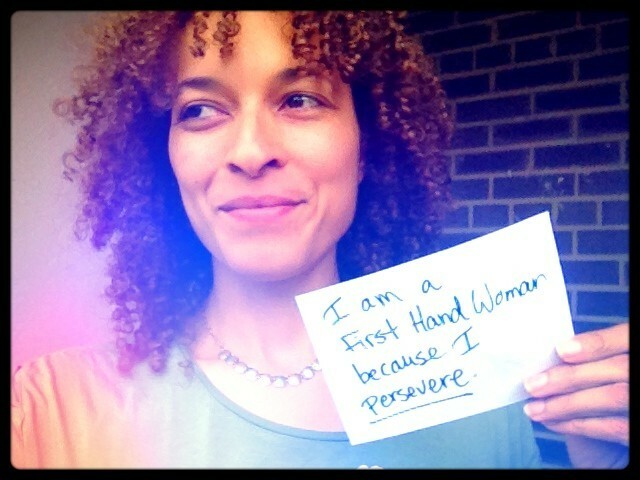 Fun + Inspiring… It’s your turn to get creative and to rock your inner-FIRST HAND WOMAN! This one will only take a few minutes and will say a lot. 2. And then, figure out what’s your word, and write it in. 3. Next? Easy! Simply snap a photo of yourself or of people you love. The photo can be of you, your parents, your grandma, your partner, your dog, totally up to you! 4. Lastly, email it HERE for consideration for posting on this “What’s Your Word” page in time for our NYC run! It’s time to show off something wonderful about you and the people you love. Take this idea and run with it!! !